Archived sessions from the 2018 ICMA Annual Conference are available on demand. The ICMA Virtual Annual Conference archives allow you to experience sessions from ICMA’s Annual Conference and to partake in the learning even if you were not able to attend the on-site conference. Archives of selected sessions will give you a sampling of the thought leadership that takes place at conference each year—all on your own time, right at your fingertips. Use the virtual conference as an opportunity to share professional development with your staff. For just one fee, your entire staff can participate. This cost-effective method of providing ongoing education to your staff is a win-win for everybody! Please note that keynotes are only available for 3-6 months after original broadcast. When you take part in the Virtual Annual Conference archives, you are choosing to make an investment in your career, your organization, and your community. You will leave your desk energized and with new ideas to help you fulfill your commitment to career-long learning and lead your community in light of today’s challenges. The Virtual Annual Conference archives include: 4 keynote speakers (keynote session access ends 3-6 months after original broadcast), 2 featured speaker presentations, 16 of the most compelling sessions, and coverage from the floor brought to you by ICMAtv. The Opening General Session of ICMA’s 104th Annual Conference features the return of bestselling author and popular ICMA keynoter Daniel Pink. While everyone knows that timing is everything, we don’t know much about timing itself, and we often assume that it is an art. In his new book, When: The Scientific Secrets of Perfect Timing, Dan shows that timing is really a science and unlocks the scientific secrets to good timing to help you flourish at work, at school, and at home. Drawing on research from psychology, biology, and economics, he distills cutting-edge research and data on timing and synthesizes them into a fascinating narrative packed with stories and practical takeaways that provide compelling insights into how we can live richer, more engaged lives. Drawing upon her new book, Leadership in Turbulent Times, Pulitzer Prize-winning author and historian Doris Kearns Goodwin returns to ICMA’s keynote stage focusing on four presidents—Abraham Lincoln, Theodore Roosevelt, Franklin D. Roosevelt, and Lyndon B. Johnson—to explore their unique journeys to recognize themselves as leaders: their early development, growth through adversity, and ultimately their exercise of leadership. Although set apart in background, abilities, and temperament, these men shared a fierce ambition and a deep-seated resilience that enabled them to surmount uncommon adversity. At their best, all four were guided by a sense of moral purpose. At moments of great challenge, they were able to summon their talents to enlarge the opportunities and lives of others. In today’s polarized world, these stories of authentic leadership in times of apprehension and fracture take on a singular urgency. How do you know if a local government is doing a good job of engaging the community it serves? How often and in what way are people engaging with content? What feedback mechanisms are in place? This session will showcase efforts that local governments are making to better engage their constituents and explore what content resonates with them. What resources are needed to guide staff transitions from employees to department heads? In small communities, people are often hired or promoted on the basis of their subject-matter expertise even if they have never been trained as managers or supervisors. This session will highlight how local governments can grow the talent they need. Social media offers rich platforms where individuals can learn and have true engagement rather than receiving only a one-sided dissemination of information. Discuss the positive and negative uses of social media in terms of facilitating healthy civic engagement, more trusting residents, and more responsive government. Charles “Chuck” Marohn, founder and president of Strong Towns, believes that if we want American cities to be strong and resilient, we need to change everything about the way we plan and build them. Explaining how many cities have found themselves in decline after decades of “growth,” he offers a revolutionary way forward that could create enduring prosperity. Session: Staffing for the Future: Does Your Community Need an Equity Officer? 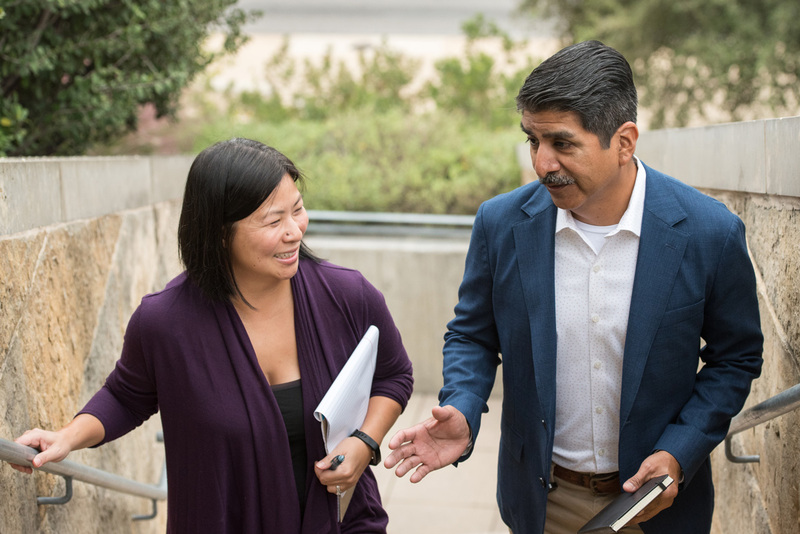 By adding new positions or departments that focus on equity and inclusion throughout organizations and communities, local governments have a golden opportunity to increase trust among residents and address pressing issues faced by diverse communities. Learn from current equity officers about the benefits of having an internal equity and inclusion professional and the keys to hiring the best candidate for the job. Join in a candid discussion about new approaches to policing that could help your department reduce the number of domestic violence crimes in your community. Research shows that domestic violence offenders are not necessarily a special class of criminal, but are likely to have also committed other violent and non-violent crimes. Considering these offenders as generalists (burglars, car thieves, etc. ), Hollywood, Florida completely changed the way it approached domestic violence cases and embarked on a program of focused-deterrence. Do you pay well enough to attract and retain top talent? Can you compete with the private sector? Discuss various methods for municipal compensation analysis and planning, learn how to weigh and compare total compensation packages, and address compression issues to improve staff retention. As the climate changes, communities are increasingly experiencing more extreme—and more costly—weather events, such as flooding, wildfires, drought, and heat waves. Learn ways to mitigate risk through sound planning and decision making. Throughout time, people have searched for the precise blend of ingredients that create transformational leadership. While the list is varied, Greg Bell believes that there is one leadership characteristic that influences and strengthens all others: courage. Great leaders are willing to swim against the stream. They don’t wait for their fear to subside; resilient, they confront it head-on. Everyone has the capacity to be courageous. Through powerful stories and eye-opening anecdotes based on his book, Water the Bamboo: Unleashing the Potential of Teams and Individuals, Greg shows you how to unleash your own tenacity and cultivate the bravery and leadership potential of those around you. Every organization is vulnerable to unethical conduct. On the rare occasion, bad conduct might cross the threshold into outright corruption. This session will map out ways to approach the situation and available resources to tap, including the FBI’s unit on public corruption. Be ready in the event of a disaster by understanding the basics of emergency management. This session will include an overview of the emergency management cycle (preparedness, response, recovery, and mitigation); key players involved in that cycle; and interrelated agencies and their roles. The cost of substance abuse to local governments across the nation is staggering. The White House Council of Economic Advisors recently released a report, The Underestimated Cost of the Opioid Crisis, which estimated the overall cost of the opioid crisis at over $500 billion. Hear from community leaders and experts on this critical topic, and learn how they address root causes and solutions of substance use disorder including mental health. Any local government manager could have been called upon to deal with one of the many tragic mass shootings of recent years. If crisis were to strike your community, would you be ready? Melissa Agnes helps organizations prevent or manage festering problems before they become catastrophic. Her powerful presentation provides tools and strategies that create a proactive, crisis-ready culture, ready to respond to whatever may arise. This session will explore the impact and consequences of sexual harassment and gender bias in local government organizations. Learn how best to identify and handle these harmful behaviors before they result in the loss of talent and trust. What do recruiters and city councils look for in candidates? Learn to tailor cover letters and résumés to be a successful candidate for a higher-level position, to prepare for the interview, and to be ready for the offer. Managing realistic community expectations requires providing residents with an understanding of the local government’s ability to deliver services with limited resources. We’ll explore strategies for communicating budget and staff limitations, creative solutions for collaborative service delivery, and ways to stretch resources. What does the story of an Artic explorer teach us about leadership in times of crisis and chaos? How does it relate to challenges you face every day? Leadership requires the courage to change course when the course is no longer clear or becomes impossible to follow. Join us to explore the application of Earnest Shackleton's voyage to your role of public servant and local government professional in turbulent times. Baltimore native Wes Moore has been busy since 2011, when he told ICMA conference attendees how educational opportunities, strong parental influence, mentors, and a community support network helped him transcend the fate of a man with the same name who lived just blocks away and took a tragically different path, ending up in prison. In 2014, Wes founded and became chairman of Baltimore’s BridgeEdU, an organization that helps students from marginalized populations navigate higher education and prepare for successful careers. Last year, he was appointed CEO of Robin Hood, New York City’s largest foundation with a sole focus on alleviating poverty. In an energizing, conference-closing presentation, Wes will inspire you to see solutions instead of problems, overcome challenges, reach higher, lift up others, and find the power and purpose to achieve any goal. Even if you missed an ICMA Virtual Annual Conference session, you don’t have to miss out on the learning. Share ICMA sessions with your colleagues that couldn’t travel to Baltimore so they also get the benefit of this online professional development. Contact Rick Aronhalt at raronhalt@icma.org.